Here in NYC, we have a plethora of Pizza places going by the name of Ray’s, Famous Ray’s, Famous Original Ray’s, and endless variations on that ubiquitous moniker; it’s become a joke that even worked its way into the storyline of a Seinfeld episode. 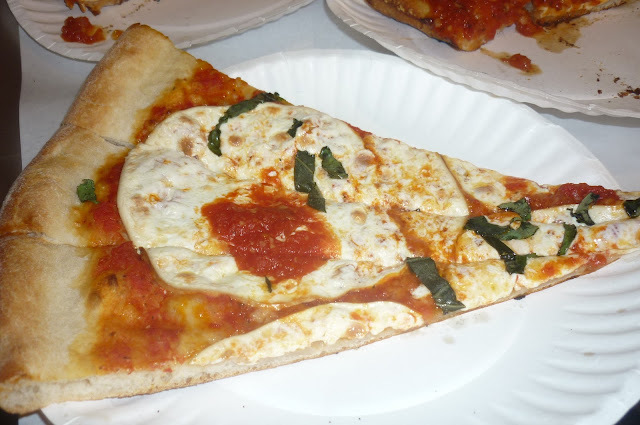 But the original Ray’s Pizza, the one that started all, was a joint located in Soho called Original Ray’s of Prince Street, which was first operated by Luchese crime family member Ralph Cuomo. 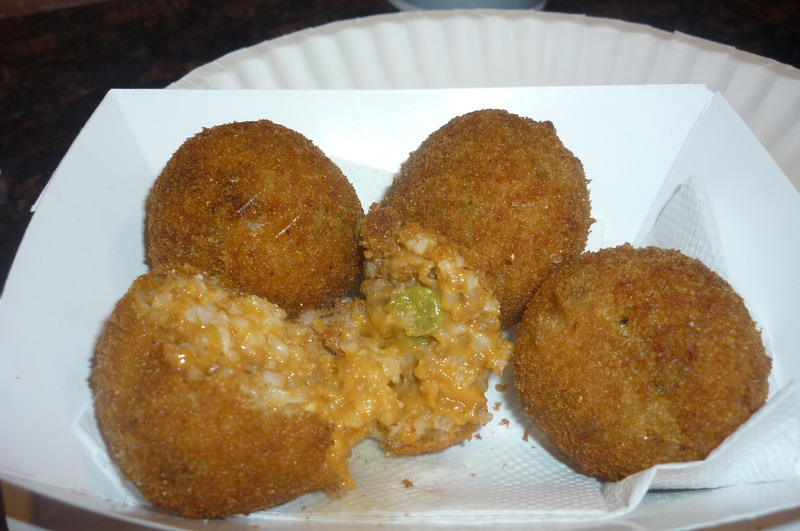 Despite the checkered reputation of its owner, Ray’s was known for its fantastic Italian food and warm family atmosphere. Everybody went to Ray’s. Culinary history runs deep in the storefront restaurant at 27 Prince Street, and a new chapter to the story began on January 4th, when neighborhood local Frank Morano launched Prince Street Pizza in the same location where his family often ate Sunday meals together while he was growing up. Frank is an affable and customer service-oriented man; an already seasoned restaurateur who was seemingly born to contribute to the Pizza-making history of this particular address. 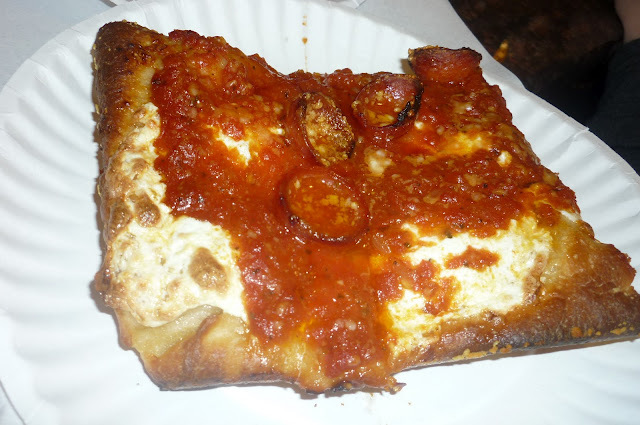 Last summer, The Worley Gig proclaimed Donatella restaurant of Chelsea as the home of New York City’s best pizza, but we are now suggesting that, even if your current ‘hood has a pizza place on every corner, Prince Street Pizza could easily become the destination for your next slice – it’s that good! Excited to try the Calzones, we chose the Humble Ham (just $7.00, wow! ), which was huge and easily shared among three people. Overstuffed with tender, thinly sliced Ham, Mozzarella and a heavy curd Ricotta, the cheese melts and blends together to such a creamy consistency that my dining companions were convinced they were tasting a Béchamel sauce. 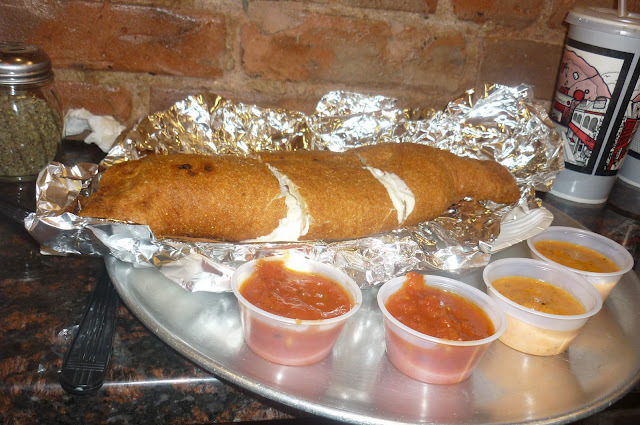 All calzones, including Paulie’s Pepperoni (Stuffed with Cheese and Spicy Pepperoni, $7.00) and the classic ‘Cheese Please’ Calzone ($6.00) are served with a side of Marinara for dipping, or ask Frank for the sauce of your choice. 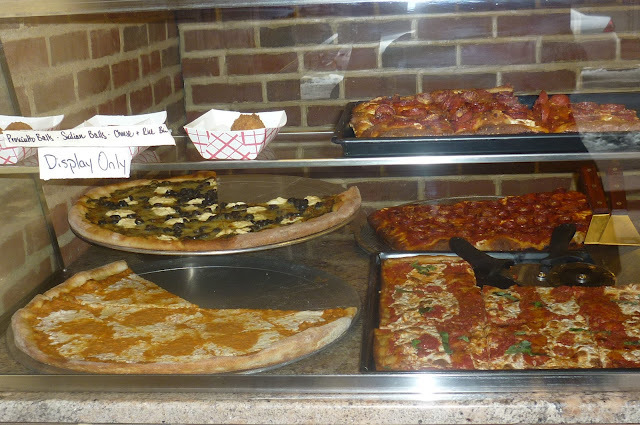 The feast continued with a fresh from the oven selection of Prince Street’s signature pizza slices. Named for neighborhood streets, the SoHo Squares include the Prince Perfection (Fresh Mozzarella with secret sauce) the Mercer Margarita (thin crust pizza, marinara sauce, fresh mozzarella, basil and garlic), the Broadway Breadcrumb (a cheeseless pie with seasoned breadcrumbs and tomato sauce) and the Spicy Spring (Fra Diavalo sauce, spicy custom-sliced pepperoni and fresh mozzarella). The Fra Diavolo sauce on our spicy Spring Square was tantalizing to our taste buds but not painfully hot, and it provided the perfect base for the custom-sliced pepperoni that curls up the edges and gets crispy in the oven. The crust on these pies is crisp on the bottom with a light fluffiness under the sauce and has just the right amount of chewiness. It’s easy to down several slices and feel like you have room for more. SoHo Squares are available by the slice for $3.50 /$3.75 or a whole pie for $24 / $26. Prince Street Pizza also features four Neapolitan pizza options including an old-school Marinara & Mozz called the Original Prince, the Boozy Broome (Vodka sauce, fresh mozzarella) and the Green Machine, topped with Pesto sauce, Cheese and Gaeta Olives. We enjoyed the fragrant smoked fresh mozzarella on our Fancy Prince slice, which you can ask for in place of the non-smoked variety. Again, the thin crust on these 20″ pies is crispy and light, so you can indulge in a few slices without literally feeling weighed down. The pizza here is absolutely, eye-rollingly delicious. Dare we say it? The Best in the City! Neapolitan pizzas are $2.95 / $3.75 per slice, depending on toppings, and $18 / $26 per 20” Pie. Additional toppings such as Anchovies, Italian Sausage and Sautéed Onions with Green & Red Bell Peppers can be added to your pizza for a nominal charge. The restaurant is intimate – seating only a total of twelve customers (at two counters, one on either side of the room) at one time, but they do a brisk take-out business and offer a limited delivery radius. Prince Street Pizza also offers “curb side pick up,” allowing customers to phone in their orders, then drive or bike up to the storefront and have their order brought out to them. The complete menu can be viewed in its entirety at This Link, so get your order ready now! Prince Street Pizza is located at 27 Prince St (Between Mott & Elizabeth Streets) in Soho, New York. Open late, phone (212) 966-4100 for specific store hours and more information.